Buying the proper baby and child car seat gets more and more difficult all the time. Just when we’ve all gotten used to current laws in the UK which allow children weighing 15kg (about three years old) to ride in backless boosters, proposed new restrictions restricting the use of booster cushions even further will take effect in the near future. But the laws are the laws. We have to deal with the fact that multiple types of car seats are required as our children grow older – and we have to realize that ever-changing laws are really meant to safeguard our kids’ safety. 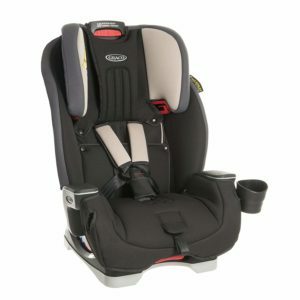 These car seat reviews will help you find your way through the confusing offerings in the shops and online. Deciding whether you need a group 0, 1, 2 or 3 is bad enough, but then there are those labeled group 0+, 2/3, 1/2/3 and so on. Then you’re confronted with decisions between connectors, belts and tethers, and between i-Size and weight-based models. 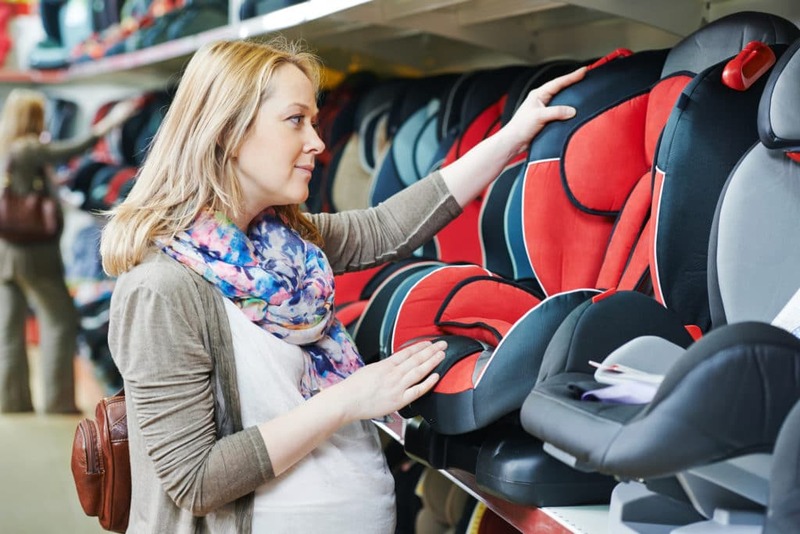 It’s almost impossible to figure out which are the best car seats for your baby when you’re still trying to understand the categories and the terminology. We’ve gone through the process personally, so we know how utterly confounding it can be. We’ll first break it all down for you, and then give you ten of the very best options that you should consider. By the time you’ve finished reading, you’ll not only know which one to buy, you’ll even be able to help and give some advice to your neighbours or family. Before getting into specifics, here’s a look at the current laws regarding children and their car seats. And there are adjustable, combination seats which span the groups and can accommodate a larger range of weights, such as Group 2/3 for kids who are 15-36 kg. Group 0 is rear-facing, as ECE R44/04 regulations require infants to ride backward until they reach 9kg. i-Size seats have to meet more rigorous safety standards, only fit into vehicles which have an Isofix system (read more on that shortly) and are based on a child’s height rather than their weight. The appropriate height range for each one is listed on the label. Regulations, incidentally, require children to ride backward from birth until they’re 15 months old for safety reasons. None of the products currently on our list are iSize models, but get ready – they’re coming sooner rather than later. Finally, kids can’t ride in a high-backed booster or booster cushion until they weigh 15 kg, only EU-approved car seats are legal to use in the UK (the label must have an “E” in a circle), and these are required until children are either 12 years old or 135 cm tall. Take a deep breath, because now we look at how these attach to the car. Most cars made after 2002 have mounting posts underneath the padding on the back, to be used with a system known as Isofix. If you have them, congratulations; that makes it much easier to attach a car seat. Be aware that some belts aren’t long enough to secure a rearward-facing model, so check that out before you buy. Lastly, vehicles made after 2012 also have a top-tether strap and most modern models will accommodate that as well. Did you get that of all? Great; now let’s look at the factors we considered in choosing the products that made our list. Most important, naturally, is safety; all i-Size models have passed or surpassed stringent safety guidelines, but since we’ve only ranked weight-based seats we did a deeper examination of their safety features. We also ranked convertible ones higher for their flexibility, since you don’t have to continually purchase new models as your baby grows. “better” or “worse” because they involve whether it will fit into your particular car, so we’ve noted the relative size of each one. Be aware that “universal” car seat simply means that a model is either Isofix with a top tether, or works with a lap belt; it’s important to check the length of your seat belts and their angle to be sure a car seat will fit. Many models come with a list that details the vehicles in which they’ll fit, which is exceptionally helpful. 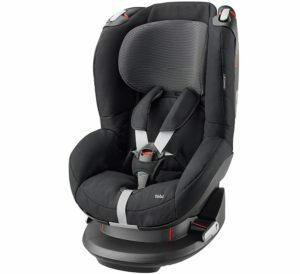 In addition, we considered how easy it is to attach and remove each model and whether it can be moved quickly from one vehicle to another, how easily you can make the harness adjustments and change from rearward-facing to forward-facing (if applicable) and how comfortable the ride will be for your child. Let’s get this baby on the road, read on! Milestone All-in-One is as solidly built and as safe as we’d expect thanks to its steel-reinforced frame, side-impact protection, great padding and 10-position adjustable headrest. It’s a weight-based seat that can accommodate your baby from birth to 12 years, functioning first as a rear-facing harnessed seat and then flipping it later so it’s front-facing. When your child is older, you can convert it to a high-back booster with a five-point safety harness. Attaching it is slightly taxing as it takes a few minutes to install and its size will make you not want to move it from car to car. But once you’ve got it in place, it’s brilliant and the best baby car seat to last throughout your child’s growth. This is a large seat (65 x 50 x 40 cm), though, so be sure it will fit your car. on our list, and this is just about as impressive as the Graco All-in-One. It moves down a notch, however, because it’s only forward-facing so your baby can’t sit in it until she weighs 9 kg. 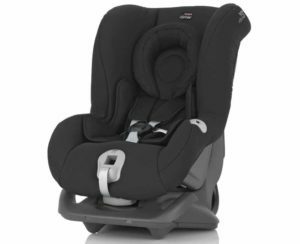 It’s a safe and versatile car seat with side-impact protection, soft-padded wings, adjustable seat width, height-adjustable headrest and multi-position recline. 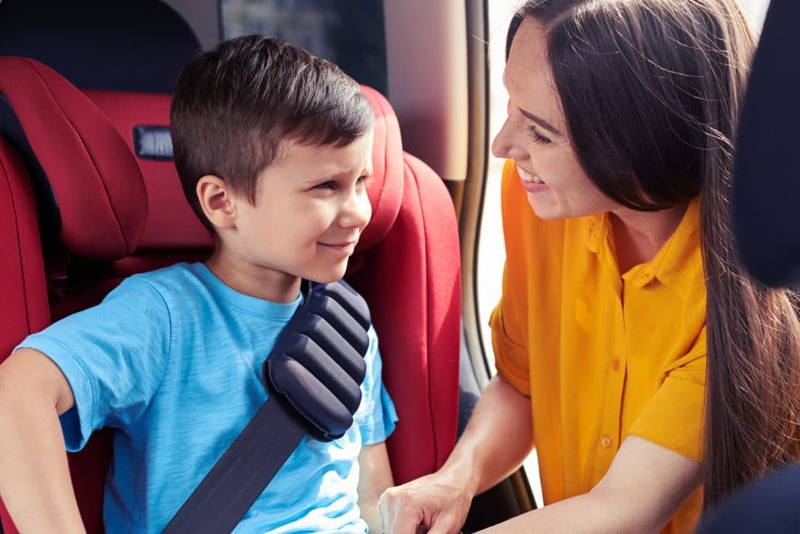 Installation takes just a few minutes but because it is bulky, this isn’t the best seat to move from car to car; one thing we really do like about the Evolva Plus is its click-and-safe feature that tells you when a child is securely fastened with the five- or three-point harness. baby is about 18 kg. 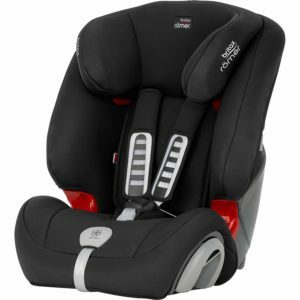 A newborn insert and recline functions allow you to take your baby home in it, and at 9 kg (or later) it can be converted into a front-facing seat suitable for use until your child is about four years old. Installation can become a little confusing, but the company has videos on its website that make things a lot easier. Safety and comfort are both excellent, and while the large size makes it difficult to move between vehicles, it can sit your toddler high enough so he can look out the window – a real plus. Overall, this is our top recommendation for parents who don’t need one for older kids. package, since the Maxi-Cosi we’ll review next requires this base for installation. 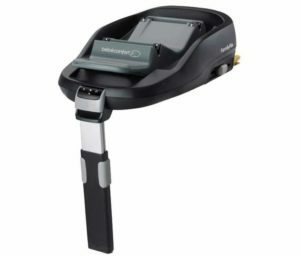 It can be used with most Maxi-Cosi products including Cabriofix, Pebble and Pearl seats, and attaches to your car’s Isofix anchor points in just seconds. It also has an adjustable support leg for added stability. The coolest feature on the FamilyFix base is a light and sound confirmation system which tells you when the base and seat are properly installed and ready for your child. sizes, and the Pearl is for children weighing between 9 and 18 kg (or from about 9 months to 4 years). But it requires a matching base for proper installation, which is why we’ve listed the FamilyFix Maxi-Cosi base just above this review. The Pearl snaps right into the base in seconds and you have an excellent sturdy, safe, forward-facing for your older infant and toddler. This certainly isn’t light, but it’s light enough that by purchasing a second base you can easily move it between your cars without a hassle. We also like the five-point harness and headrest, which move simultaneously for easy adjustments to fit your child’s weight and height. that Britax models are very well-made and very safe, so we’ll look more at what differentiates the Duo Plus from the other products we’ve reviewed. It’s simple to install in vehicles that have the required mounting posts (although you can attach it with a belt if you prefer). It’s built for a baby weighing 9-18 kg, meaning you’ll need to buy another one for the child’s infant and older years. There are simple one-hand adjustments for the harness and headrest. The Duo Plus is solid, dependable and safe; it’s just not as versatile as a convertible model. construction and safety of Maxi-Cosi but don’t want to buy a separate base. It’s a front-facing seat which installs fairly easily with a belt, there’s a colour indicator to tell you when it is installed properly, and it has the same simultaneous harness/headrest adjustment feature that we loved on the Pearl. There are five recline positions, lots of cushioning and most importantly, there’s strong side-impact protection. that is about as portable as it gets, because it folds down into a backpack. This is suitable for kids between the ages of four and twelve, and it’s ideal for use in taxis or for taking on holiday. 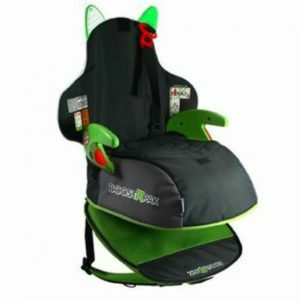 It is sturdy, safe and comparable with the best booster seats on the market, although if you regularly mistreat your backpack when travelling and do the same with the BoostApak, don’t expect the shoulder straps to last forever. Be aware that this is not like tossing a lightweight pack on your back and going for a light hike; the Trunki weighs one kilogram when empty, and there’s room for some toys, books and snacks to go inside which will weigh it down even more. The BoostApak isn’t for everyone, but many will find it indispensible. than most of those we’ve reviewed. 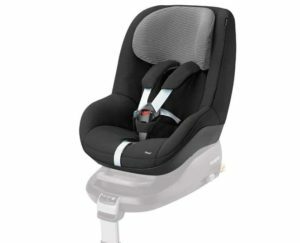 It has head impact restraints as well as side impact ones, the adjustable side wings are excellent, and the memory foam cushioning is additional crash protection as well as being plush and comfortable for the child using it (although it is low, so most toddlers aren’t going to be able to look out of the windows). Built to handle weights 15 to 36 kg, this is the best toddler car seat that’s also suitable for older children and can take a few minutes to attach with seat belts. 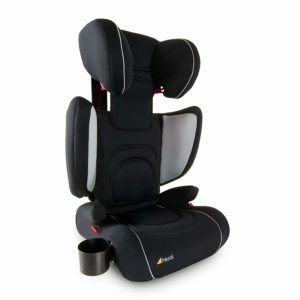 is adjustable as your child grows and all of the safety features and padding are fully up to par. There’s only a three-point restraint instead of the more common five-point restraint most parents prefer for younger toddlers, but there are two other features which make the Nova 2 worthy of consideration. 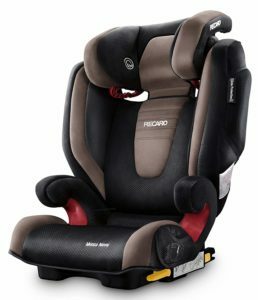 First, there’s a built-in air cushion which can be inflated or deflated for comfort, and there are built-in speakers in the headrest, letting your child listen to music from an MP3 player without making you crazy hearing the same Disney songs all trip long – that feature alone would make most parents feel that the Recaro is the best toddler car seat. 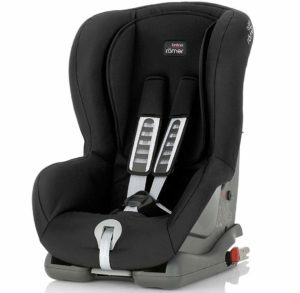 There’s a lot to sort out when looking at the best car seats; few other products have as many important variables to consider when shopping. You’ve learned about the easy-to-install benefits of Isofix models, but have also seen from our car seat reviews that most of the top choices aren’t compatible. More than anything else, though, be sure to make a list of the relevant details: the type and model of the car(s) where it will be installed, the weight and height of the child who will be using it, whether your car is set up to accept Isofix seats and if not, how long your belts are. Also decide how long you want to use it, so you know whether you’re ready to splurge on a Class 0, 1 2 or 3 model, or if you want a convertible which will last as long as 12 years while your child grows. Otherwise, you might be tempted by a gorgeous-looking model that won’t fit the bill once you get it home. Emma is a mother to 4 kids – a 6 year old boy, a 4 year old girl, and 18 month old fraternal twins. She is a baby expert that aspires to help new and not-so-new parents when buying all things baby.